Running is one of the most popular activity in Stanley Park. You can run completely around Stanley Park which is 9 kilometres. 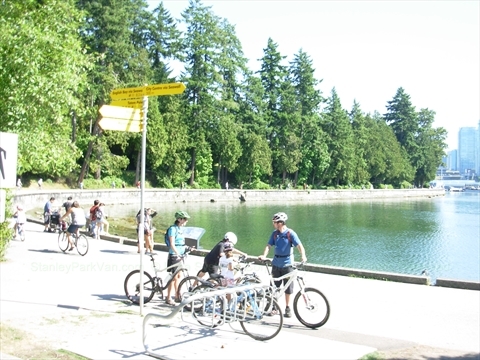 The Stanley Park Seawall has a separate lane for Running. Bicycles can only go one direction around the park, but you can run both directions around the park. There are also a number of trails and paved paths throughout Stanley Park on which you can run. In 2016, Canadian Running Magazine named Stanley Park as the 'Best Running spot in Canada' as part of it's 2016 Golden Shoe Awards. During the year, there are many charity runs, e.g. Terry Fox run, which take place in Stanley Park.&bnsp; Also, there are many organized runs, e.g. Vancouver International Marathon. To find out when these runs take place, check out our Stanley Park Events Calendar.